Growing old versus aging gracefully is a topic I have been contemplating for some time, but has been on the back burner, until now. Before I explain why, allow me to define the terms of this article. Growing Old is essentially allowing nature to takes its course with minimal, purposeful intervention, much less the actual execution of a designed plan. You may as well spin the wheel, roll the dice or pick a card to discover your ultimate health outcome. The primary intervention experienced with growing old is typically unplanned, allopathic in nature (medical model of disease/symptom management) and can include a multitude of pharmaceuticals, surgical procedures and even toxic chemo/radiation exposure. While this approach may extend life, it does little or nothing to enhance the quality of that extended life. Aging Gracefully is taking ownership of one’s health. By ownership I mean purposely becoming educated regarding how the body works so you better understand why it behaves as it does. Then you proactively act upon that knowledge making targeted healthier lifestyle choices. Ownership means investing time, energy and resources now, not later. The benefit of aging gracefully is that quality of life remains high when others suffer and falter. Your ability to adapt to or resolve the effects of stress remains strong. The allopathic role, if enlisted, is only one of a potential handful of practitioners or services working for you, not empowered by you. It is important you understand that I do believe allopathy serves a purpose. If I am ever in a life or death situation there is nowhere else I want to be than here in America with access to modern medicine. Allopathy excels in responding to acute health challenges, breaking a leg or having a stroke, etc. Where its effectiveness drops greatly is in preventing such events from occurring in the first place. 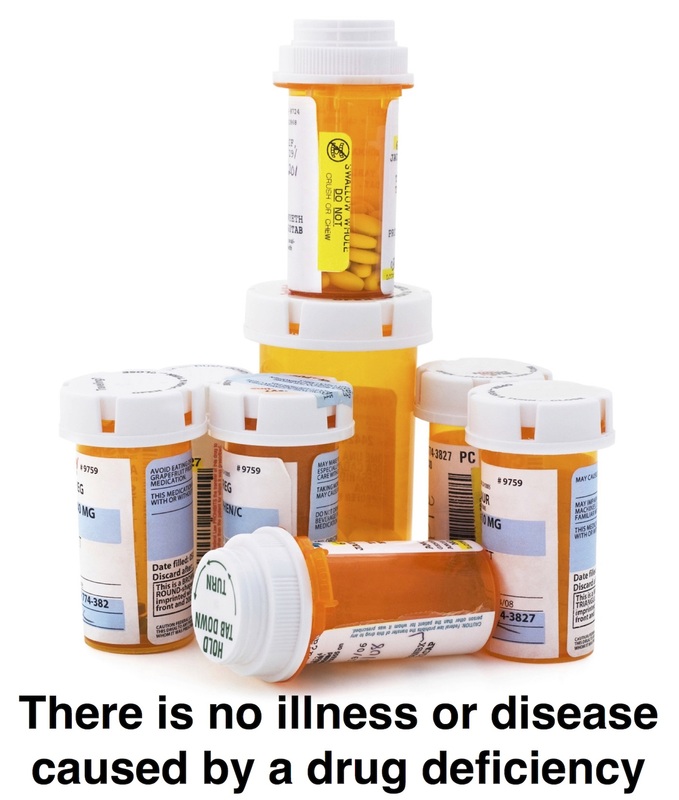 Allopathy is about managing disease and symptoms. It can’t heal anything. Drugs suppressing metabolic function don’t heal the body. The surgical removal of tissue, glands and organs, or exposure to the toxic effects of chemotherapy/radiation do not heal the body. While these practices may alleviate or reduce a symptom(s), that is not the same as healing. Over 90 percent of health challenges are chronic in nature. Chronic or degenerative disorders require time to manifest. At some point, a “tipping point” is reached, where the body can no longer metabolically compensate for imbalances or stressors and an “event” occurs. Or, the symptom(s) reach a point of severity and/or frequency which allows a “diagnosis” to be applied. Be honest and consider this; if you were diagnosed with cancer this morning, were healthy yesterday? If you have a heart attack tomorrow, does that make you healthy today? Obesity, diabetes, autoimmune conditions, etc., are all degenerative conditions that existed well before the diagnosis was made. I hope this is making sense and sinking in. The absence of a diagnosis is not the definition of health. Health is not only the absence of disease, it is the body’s ability to prevent the signs/symptoms of disease from happening in the first place and being capable of returning to a state of homeostasis if knocked out of balance. Health is what you, me, and everyone should be manifesting right now every day. Compromised health should be the anomaly. An actual diagnosis, much less an acute health event (i.e. stroke) should be even less likely, a true rarity. Hospitals and ERs should only be needed for acute traumas such as a car accident. How can health be our default setting you ask? If it were not, we would have died out as a species millennia ago! A literal program for health exists. This program is written into the DNA of every single one of the 100 trillion+ cells that make up your body. The only thing that can heal you is tapping into and allowing this innate program or wisdom to function as it was designed. If you cut yourself, if you keep the wound clean and the edges together, it will heal. If you break a bone, and align the edges, the gap is crossed and the bone remodeled. The cells accomplishing this don’t have to be told what to do. They don’t have to watch a video, read a self-help book or partake in a multi-year program. Your cells already know what to do. They just have to be allowed to do it! You can damage this programming. No one is born with type 2 diabetes, something(s) has to change. It is perfectly natural for blood sugar levels to fluctuate. This is essential for health and survival. There are a multitude of biochemical processes that allow blood sugar to deviate and bring it back into balance. Type 2 diabetes happens when we damage or break that programming. If the program is merely damaged, it can often be corrected through lifestyle. If it is broken, that is another story. Diabetes is a degenerative illness requiring time to manifest. If we allow this innate wisdom to manifest, you will experience health. The earlier in life you recognize this fact, and more importantly apply this knowledge appropriately, the more likely you will be to experience true health and maintain it for a lifetime. The more out of metabolically imbalanced your body is, the longer these imbalances exist, the more challenging it is to bring oneself back into homeostasis. But it is possible in most cases. There is a formula for acquiring health. In overly simple terms, you will experience health if you supply your body everything it needs to heal, while eliminating or reducing every possible blocking factor. Sounds simple, right? The challenge is that modern society, how most people choose to live, goes against this formula. The “western” lifestyle is loaded with blocking factors which impede healing. Our cells are malnourished by poor foods of convenience and toxic from a polluted environment. We have been falsely led to believe that getting old is a natural part of life. Any time you hear or interpret any message that even hints to ill-health as normal, it is either a purposeful lie or expressed through ignorance. Often it is both. As with exercise, there are no bad drugs or bad surgical procedures. But there does exist inappropriately prescribed exercise, drugs and surgery. It is the appropriateness relative to the individual where success or mistakes are made. I know. What I am saying goes against just about everything you have been told and led to believe is true. Allopathy is not the answer to disease prevention, much less health building. Allopathy is not king, it can be and should be questioned! There exists legitimate options that that are not quackery, deception or schemes. I’m not saying that quackery, deception and schemes don’t exist, they do. That is where education comes into play. That is where intuition, that innate knowledge and wisdom inside you, speaking its voice needs to be trusted. All occupations, no matter how noble or altruistic they may be presented, can be used for good or evil. Never believe everything anyone tells you at face value. Yes, it can be hard to look at people, places, things, including yourself and even ideas without allowing emotions to get in the way. Being able to see things for what they truly are is vital to health building and survival in general. When it comes to your health, be open-minded to possibilities and new ideas. But also be skeptical. Skeptical of false promises, misleading information, distracting marketing and deceptive intentions. An imbalance between the two can and often leads to disappointment, frustration and disgust at self and others. You are too important. You have better things to do with your time, energy and resources. You have read this far and I have yet to answer the first question. Why am I writing this, now? In early February ’17 my dad had a heart attack. I am writing this, while watching him sleep in a rehab facility. I am incredibly grateful that he is alive. I thank allopathy for that. Now we are concerned about his quality of life which has suffered greatly. In some ways he is in worse shape than he was prior to the heart attack. Where is allopathy now? I am writing this for two reasons. First, I have an awful lot of thoughts running through my head as you can imagine, and they demand to be released. Second, I truly believe that what I offer here, my experience, can benefit you. Do you want to get old or do you want to age gracefully? Are getting old or are you aging gracefully? If you do not proactively learn a holistic model of self-care you will be forced into the medical model (drugs, surgery, chemo and radiation). Is that what you want? 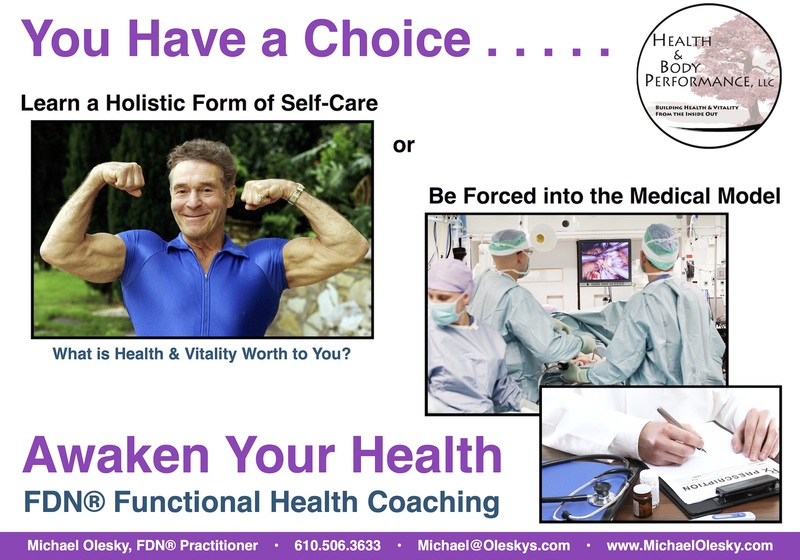 If you are not living the life of quality that you want, you may want to consider a holistic form of self care such as my Awaken Your Health FDN® Functional Health Coaching program. I have more thoughts to offer, this is just a good place to stop. See you in my follow-up. Previous postIs Play Missing from Your Health Quest?